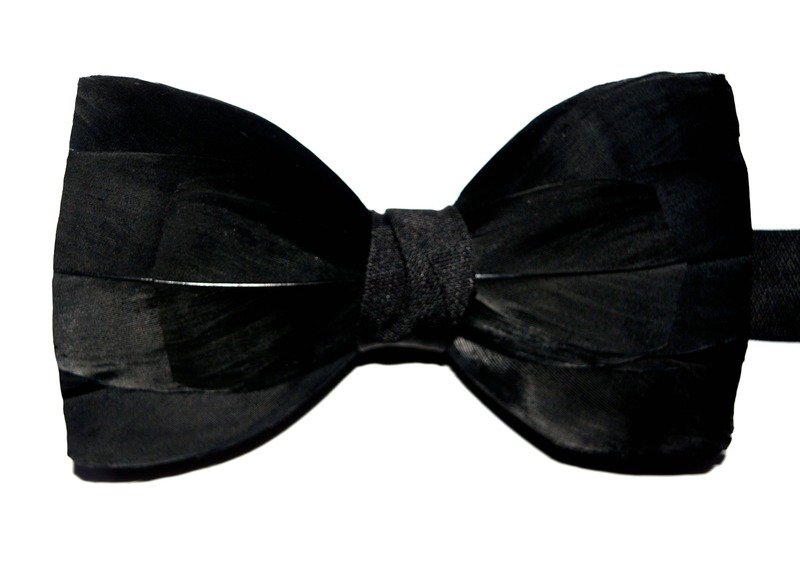 RAVEN 2D JET BLACK Gothic Feather Bow Tie set on a quality 100% high quality black woven silk or black satin double bow tie. 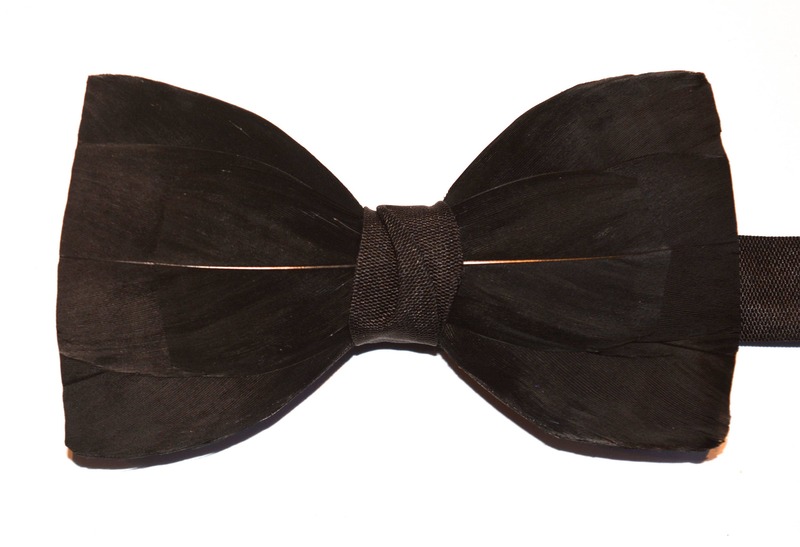 This is our NEW collection of Haute Couture high fashion bow ties, you won't find these anywhere else as they are our original design. You can choose a different fabric base colour option, use the drop down menu for this). The feathers are so deep and luxurious they look like black velvet.